I paid £100 was this a good price?? 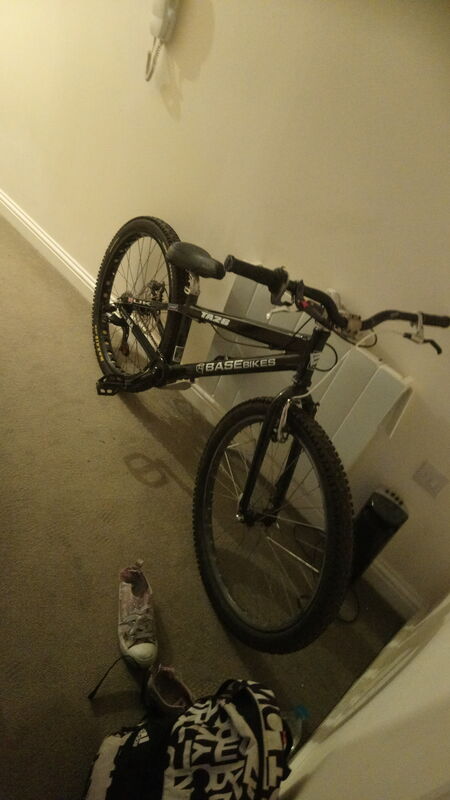 Looks like a great deal for £100 and it will be a fun bike. Close ups of the forks? They look like lower end trials forks. Dirt jump rigid forks will be much longer and heavier, they'll feel horrible as that frame is not meant for suspension length forks. There is no trials specific suspension fork as suspension is not what you want for trials. What do you find easier with front sus? Post some better pictures dude. Better light, better angles. If your not getting on with the bike i'd give you £100 for it mate.love them old bases.